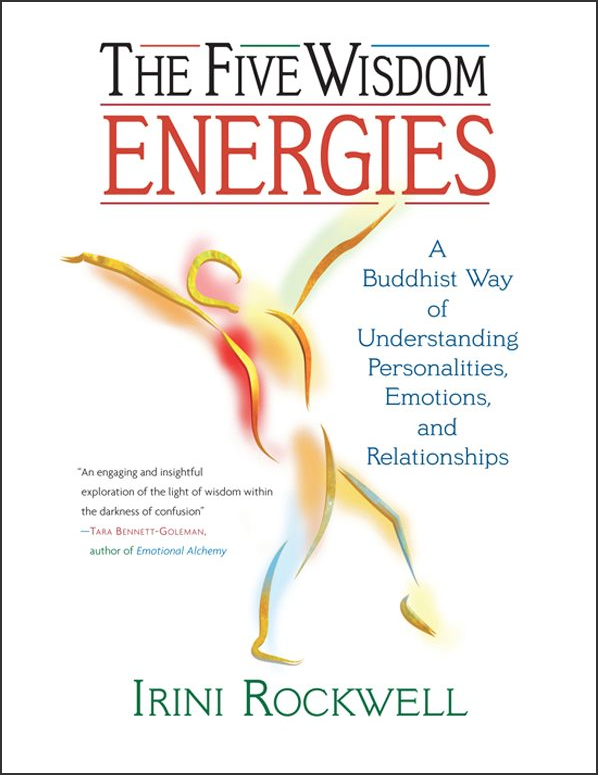 The Five Wisdom Energies has sold over 14,000 copies and has been translated into German, French, Dutch, Spanish, Czech, Turkish, Polish, Hungarian and Indonesian. 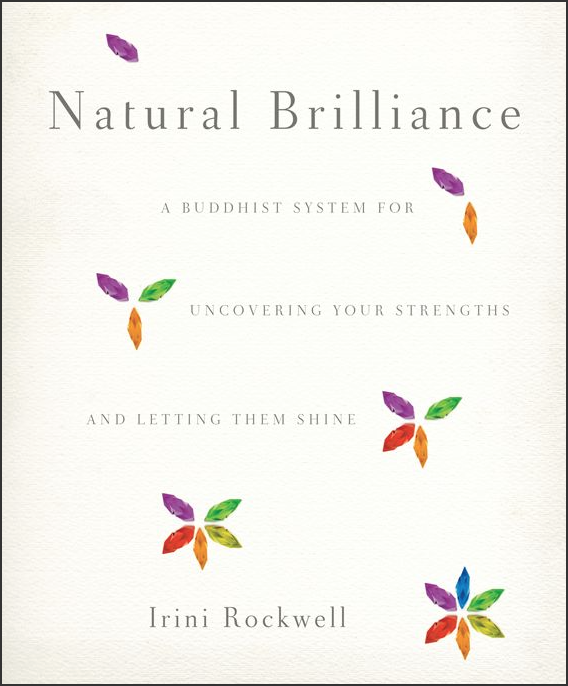 Based on Irini Rockwell’s workshops and professional development seminars, Natural Brilliance (March 2012) sheds light on a simple yet profound Buddhist typology system that can enhance your self-awareness, improve relationship dynamics and boost your effectiveness at work. Here are some graphics for Natural Brilliance, in brilliant color! Reviews of Natural Brilliance from a variety of sources. Mettre Notre Sagesse au Travail dans le Monde, le chemin d’Irini Rockwell, Bouddhisme Actualités, Paris, 2006. In French. The evolution of the Five Wisdoms @ Work training going back to its roots at Naropa University..
Les Cinq Énergies de Sagesse, Bouddhisme Actualités, French Buddhist magazine, interview with Irini Rockwell, 2003. In French. Irini Rockwell Talks about The Five Wisdom Energies, Karme Choling, 2003. The Five Wisdoms Institute, Irini Rockwell takes the Five Wisdom Energies to New Audiences, The Dot, the Quarterly Newspaper of the Shambhala International Mandala, 2003. A Conversation with Irini Rockwell, at Karme Choling, 2002. Interview by Shambhala Publications, Shambhala Publications. Losing it? It’s time to take a “Big Mind” View, Irini Rockwell. Elephant Journal 2016. 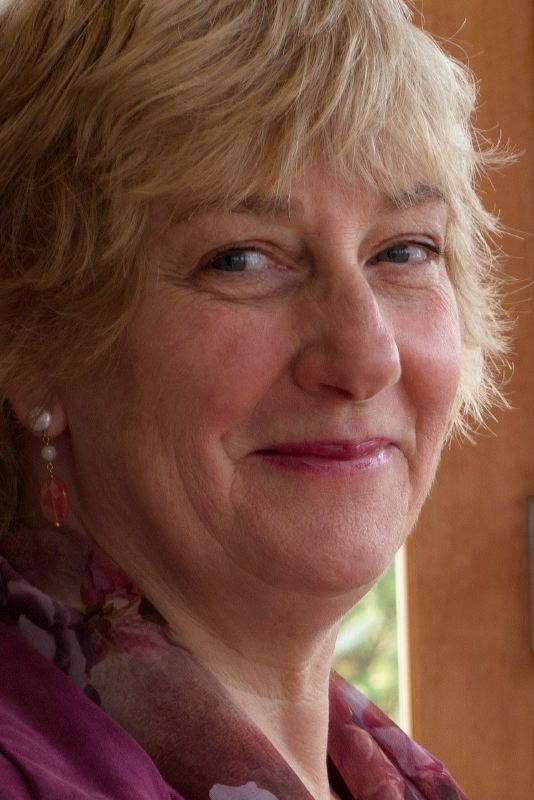 A Buddhist Perspective on the Doctor-Patient Relationship with the Five Wisdom Energies, Irini Rockwell interviewed by Dan Cyer. Elephant Journal 2015. The Five Buddha Families, Lion’s Roar 2015, previously in Shambhala Sun, 2002. Making the five buddha families accessible and completely relevant to our daily life. Natural Brilliance, Leading from Within, Shambhala Times, 2014. Three key slogans and the Five Wisdoms give us a context to do the deep work necessary to serve others as leaders. Embodying Wisdom, Becoming Sensational, Shambhala Times, 2014. Originally published by Parabola, 2006. Our sense perceptions are an entrance into the five wisdom energies. The Family Mandala, Part 1, Shambhala Times, 2013. The Family Mandala, Part 2, Shambhala Times, 2013. This is a very personal accounting of the application of the two most powerful and transformative aspects of the Five Wisdoms perspective, co-emergent wisdom and the mandala principle. The Five Wisdom Energies, adapted from Natural Brilliance, Chapter 1: Five Wisdom Qualities, Omega website 2012. An overview of the Five Wisdoms and A Five Wisdoms Questionnaire. Making the Most of Retreat, Shambhala Times 2012. How to go deeper within ourselves and then bringing it back home. Tibetan Buddhist Yoga: The Practice of the Five Wisdom Energies, For Kripalu 2011. Originally published in Elephant, 2004. This article describes the wisdom energies and how posture practice allows us to experience our wisdom. Embodied Transformation, Shambhala Times 2011. This article is on the unique aspects—energetic, embodied and transformative—of the Five Wisdoms. Integral Spiritual Experience/Exploring Love, 2011. A report on the Integral Spiritual Conference. Life Inspired by Juilliard, Juilliard Journal, 2011. My training as a dancer and choreographer at Juilliard has provided both inspiration and focus for choices I have made in my life. Wisdoms@Work, Developments at the Five Wisdoms Institute, Shambhala Times, 2011. There is a feeling of harvesting the riches of the last ten years at the Five Wisdoms Institute. The Five Wisdoms Institute, The Shambhala Times, 2009. The inspiration and development of the Five Wisdoms Institute. Five Wisdoms and Zen Buddhism, Dharma Thoughts, Clouds in Water Zen Center, Janauary 2009. Reflections on the complimentary practices of zazen and the five wisdom postures. Five Wisdoms in Hollow Bones, Rinzai Record 2008. A dialogue between traditions. Embodying Wisdom/Becoming Sensational, Parabola, 2006. Our sense perceptions are an entrance into the five wisdom energies. The Case of Memory Gone Missing and Other Tragedies and How to Come Home, Unpublished, 2006. Working with the information age and how to bring the five wisdoms into the workplace. Creative Expression Inspired by Buddhist Practice, Vorm & Leegte, The Netherlands, 2006. Art inspired by Buddhism springs from a certain state of mind. Openness to our existence means we engage freely and dynamically with our inner world of thoughts, emotions and imagination and the energy of the world around us. We experience reality directly and spontaneously, are more present in our being, and more genuine in our actions. Critical Thinking Rubric, David Marshall in consultation with Irini Rockwell, 2004. The five wisdom energies can be used to structure, guide and assess student work. Five Wisdoms: A Contemplative Approach to Integrative Learning, Submission for Going Public with Spirituality, Peter Lang Press, Studies in Spirituality Series, 2003. The five qualities of a fully educated person provide an integral understanding to education. Five Wisdom Energies: Transforming Confusion into Wisdom, Kenkon Newsletter 2002. Pith instructions on how to use the wisdom of the energies to transmute our stuck emotions. Wherever You Go, There THEY Are/Developing Genuine Relationships, unpublished, 2002. An approach to fostering genuine relationships and meaningful communication. Five Wisdom Energies: Transforming Confusion into Wisdom, unpublished, 2002. Pith instructions on how to use the wisdom of the energies to transmute our stuck emotions. Contemplative Approaches to Working with Others in Education, 2001. Five Wisdoms within the context of contemplative approaches offer tool to improve the educational environment. A Contemplative Approach to Creativity, Vajradhatu Sun, 1989. Explores the sensibility created by meditation as a ground for creative expression. Dance: the Creative Process from A Contemplative Point of View, Dance: Current Selected Research Vol. 1 1989. Shows how mindfulness and awareness practice informs dance and creativity.